In the early 1900’s Andrew McIlwraith - a retired shipping magnate - purchased the recently-built Cliff House for his daughter, in the hope of luring her down from London. His plan failed and he decided instead to place the building in Trust, to help provide a permanent home for the Salcombe Yacht Club, of which he was a founder member. He allocated other rooms in the building for the use of the people of Salcombe. 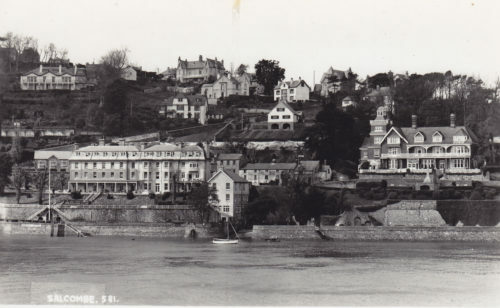 One such room was the elegant Reading Room on the middle floor with its bay windows and staggering views which today – in keeping with McIlwraith’s legacy – is home to the Salcombe Library. It is also used regularly as a meeting room by the Salcombe Town Council, whose offices are based at Cliff House. Alterations to the ground floor over the years have created a large Assembly Room and more recently other facilities have been added or extensively improved – a professional kitchen, a bar, a sound system, screen & projector – to make Cliff House suitable for any number of public or private events. The house has hosted decades of regattas, dances, parties, weddings, theatrical productions, public meetings and exhibitions and continues to be at the very heart of the community in Salcombe. Income generated from the hire of the facilities, along with rental income from the Yacht Club, helps to maintain the building but the Trust – a registered charity - relies heavily upon grants and donations to fund restoration projects.